There is so much about Henry Reynolds’s latest book (Forgotten War, NewSouth Publishing, 2013) to admire, to think about and to endorse. Essentially, Forgotten War is historical argument but not an argument about what actually occurred. Whatever the quibbles about the number of casualties, both settler and Indigenous, on the frontier between 1788 and the early 1900s, there is no doubt broadly about what happened. To reinforce the documented facts Reynolds first presented in 1972 (Aborigines and Settlers), again in 1981 (The Other Side of the Frontier) and again in 2003 (a chapter in Attwood and Foster’s Frontier Conflict), he summarises in his new book the results of recent scholarship. He also notes repeatedly that there is a mass of primary source evidence: it is ‘voluminous, various and compelling’ (p. 49). And this is despite the self-interested reticence of the murdering settlers, the burning of bodies, the silence of complicit beneficiaries, the official secrecy (especially of the Queensland Native Police), and the destruction of archives. The argument in Forgotten War is about how to confront this historical reality today, as the centenary of World War I approaches. Reynolds, in fact, has two points, both presented with at times barely contained moral anger. First, the ‘killing times’ on the frontier did indeed constitute war. 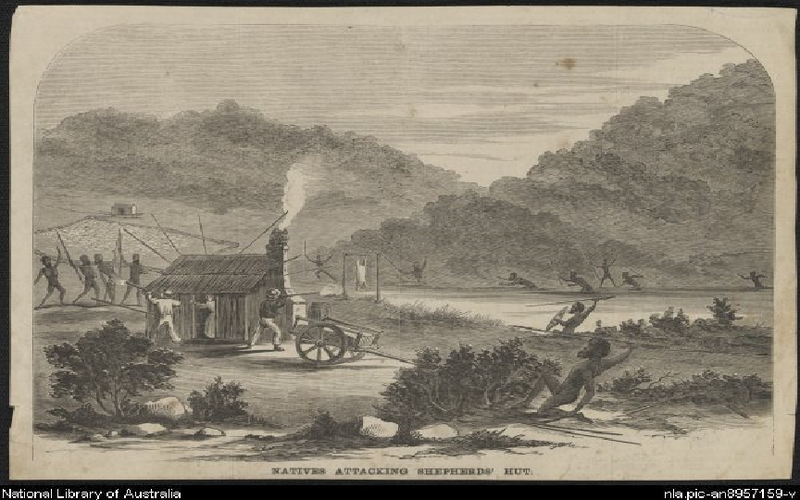 During the nineteenth century the clashes were repeatedly described as ‘war’ or ‘warfare’ in print (officially and unofficially) and now they are classified as a form of warfare or guerrilla warfare by leading scholars of Australian military history. The nature of the conflict was also, of course, evident in the behaviours of the combatants and in the issues at stake – possession of land and exercise of sovereignty. As in much of historical inquiry, so much turns on the question one asks. He who classifies rules the world, as the saying goes: you’re a terrorist, I’m a freedom fighter; you’re an illegal, I’m an asylum seeker; you’re ‘Other’, I’m ‘People Like Us’. Secondly, Reynolds argues that Australia must come to terms with a massive gap in its reconciliation. 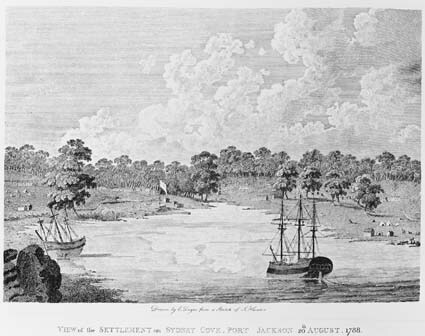 The Mabo judgment, the Bringing Them Home report, the various apologies and Parliament’s recognition earlier this year of the ‘unique and special place’ of Aboriginal and Torres Strait Islander peoples as the first nations of Australia are all, in their way, responses to past events and wrongs. But there is no official recognition at the Australian War Memorial of the war dead of the frontier wars. Before returning to the War Memorial, however, I need to explain several reservations about the book. One is little more than an irritation, the other more substantial. So, yet another book about what the author, perhaps in league with the publisher or its marketing people, decided to call a ‘forgotten war’? It’s a phrase some people use when referring to the Korean War (1950-53) but it could just as readily be justified to describe Australia’s involvement in German New Guinea in 1914 – yes, Virginia, Australians were fighting and dying in World War I before 25 April 1915. Arguably, this term and variants like ‘forgotten hero’ could be attached to thousands of other conflicts, incidents and individuals – and indeed they have been! A search under book title for ‘forgotten’ at bookdepository.com resulted in 6670 hits. ‘Forgotten’ is so often an inappropriate, conceited and lazy term for a book title, begging all manner of questions. Who forgot, and did they once know? Did some people always know and deliberately encourage others to forget? If I don’t know what a previous generation knew, have I forgotten? Is the author’s life mission now to remedy the world’s amnesia by selling the book and is it really that easy? Is this forgetting different from the natural atrophy of collective short term memory? Is forgetting necessarily a bad thing anyway – a question increasingly worth asking, as David Rieff has argued (Against Remembrance)? That said, and though Reynolds could easily have found an alternative title, his actual choice is deliberate and seriously meant. He is alert to the societal and cultural processes whose consequences help shape which historical questions come to prominence and fade away and which are deliberately or innocently downplayed or ignored. There are sentences and occasional paragraphs in the book referring to, for instance, ‘a public who for several generations had been taught a comforting and deeply ideological story…’ (p. 27) and a ‘current cult of the fallen warrior … promoted … and designed to replace two other versions of history while appearing to be an innocent crusade of remembrance’ (p. 235). Despite what some readers will be misled to conclude on seeing the book’s title, this is not a book about collective memory, forgetting, cultural cleansing or any of the related concepts from the world of memory studies. For me, at least, the book which comes closest is Reynolds’s Why Weren’t We Told? A Personal Search for the Truth about our History though I couldn’t find that he had mentioned that book anywhere in his latest work. My second worry arises from one of Reynolds’s many polemical contrasts which structure the book and which he presents with such telling effect. These contrasts include juxtaposing things such as the despatch of troops to the Sudan in 1885 with some of the worst settler-Indigenous clashes (chapter 6: ‘Two very different wars’). Earlier, in his opening chapter, he had considered the role of the Australian War Memorial north of Lake Burley Griffin in Canberra in relation to Reconciliation Place on its southern shore. The Memorial is a combined museum plus ‘secular shrine of remembrance’ with considerable ‘pedagogical power’ (pp. 41-2). Reconciliation Place is a site of monuments and sculptures sponsored by the Howard Government and opened in 2002. Reconciliation Place conveys some of the most significant people values and themes of the reconciliation journey, stressing a shared history and the need for healing of wounds. Yet completely absent is any reference to the frontier conflicts. The Memorial itself makes passing reference in its Colonial Conflicts gallery to convict revolt, civil disorder and Aboriginal resistance. To Reynolds, this small display celebrating colonial society’s mounted infantry is perhaps ‘the most egregious example of willing blindness’ (p. 226). The Memorial’s directors and Council members and, of course, the RSL believe it is ‘not appropriate’ for the Memorial to commemorate the Indigenous dead while – as if to compensate – the Memorial redoubles efforts to acknowledge Indigenous participation in wartime service. This is unsurprising, however regrettable. On the other hand, Reynolds sees the absence of the frontier wars in Reconciliation Place as an omission which ‘verges on the bizarre … as if there was an unspoken edict: “Don’t mention the war”’ (p. 46). Sadly, what Reynolds’s discussion misses is the Aboriginal Memorial of 200 hollow log coffins from Central Arnhem Land on permanent display in the nearby National Gallery of Australia. Anyone who has seen them, or read The Memorial: A Masterpiece of Aboriginal Art (Olympic Museum exhibition catalogue, 1999), will know logs were used in certain parts of Australia for either a mortuary ceremony or to keep bones of a deceased Indigenous person at the family home for a period of time. They can also function to represent a deceased person. The Aboriginal Memorial, the product of 43 Yolngu artists from different clans, was developed in conjunction with Australia’s bicentennial celebrations, displayed at the Bicentenary Biennale in Sydney in 1988 and later shown in 2000 at the Olympic Museum in Lausanne to coincide with the XXVII Olympiad in Sydney. It was conceived by Djon Mundine for the bicentenary, as he explained in the exhibition catalogue, ‘to make a strong statement about a national event’. Together, the forest of coffins ‘is like a large war cemetery, a war memorial to all those Aboriginals who died defending their country’ (p. 49). In Sydney in the middle of 1987, I met with Nick Waterlow, the Director of the Bicentenary Biennale of Sydney. As I explained the form of the project as an installation and the philosophy of the Memorial as a forest, Waterlow gazed into the middle ground and in a very poignant moment asked had I ever been to the First World War battle fields in Flanders. He went on to share his memory of endless rows of crosses, covering rolling hills as far as you could see. The Memorial was accepted into the Biennale (p. 50). Henry Reynolds made the same connection, even if he was seemingly unaware of the coffins. The [frontier] war also saw the progressive transfer of sovereignty from the multiple small Indigenous nations to the imperial government and its successor colonial administrations … There was no retrospective return of sequestered property. There were no reparations … So if we are talking about war, it was clearly one of the few significant wars in Australian history and arguably the single most important one. For Indigenous Australia it was their Great War (p. 248). In media interviews, Reynolds has argued (wisely, I think) that how the victims of the frontier wars are commemorated is a question for Indigenous Australians to answer. That said, the issue is not a simple one. The process of consultation alone is potentially very fraught. Are all those who died – 25 000-30 000 on one side and 2500-3000 on the other – to be honoured? By being named on a Roll of Honour – not that we know even most of the names? Should the remains of two unknown soldiers (Indigenous warrior and White settler) be reinterred, and if so where? And what constitutes a fitting memorial when what might be a meaningful cultural practice in the Tiwi Islands may not mean a lot on Cape Barren Island? Whatever the options, Reynolds is convinced the War Memorial must be part of the answer, because it is ‘the sacred centre of white Australian nationalism’, its ‘pantheon’. If the Aboriginal dead are excluded here, he argues, they are excluded from the nation. We will know that we are all members of the same nation when a shrine in memory of the fallen warriors is placed side by side with the tomb of the unknown soldier (p. 237). If that is the objective, the campaign will be very difficult and very time-consuming. As Paul Daley noted this month, the War Memorial argues that the National Museum of Australia is the cultural institution which should document the frontier wars. This overlooks the Memorial’s own remembrance role. More generally, it has the Memorial using the wording of its legislation to resist being mature and generous-hearted and inclusive. But why bother with the opinions of the Memorial at all? No one will change current Director Brendan Nelson’s mind or his successor’s. Parliament is where apologies are issued and legislation passed giving national institutions their statutory authority or changing it. Perhaps in 2088 – three centuries after the arrival of the British – Reynolds will have his vision for a truly Australian War Memorial realised. In the meantime, imagine in front of the current Memorial – perhaps near the Lone Pine tree, grown from seeds from Gallipoli – a forest of hollow log coffins. What a wonderful backdrop this would be to ceremonies on Anzac Day and Remembrance Day … with some smoking gum leaves as the bugle plays. *Michael Piggott is a committee member of Honest History. Henry Reynolds talks about his book here and there is an extract here. Michael Piggott’s book, Archives and Societal Provenance: Australian Essays, includes a chapter on acknowledging Indigenous recordkeeping.